Gave me an amazing deal on a vehicle purchase, best experience I've ever had. Very customer oriented & willing to work with you to make your dream purchase come true. Joe Collins is the man to see, you won't regret it! I just bought my first car at Fritz in Fishers and it was an excellent experience! Bill Brandt was very helpful and made sure I got everything I needed for the vehicle. I’m so pleased to have a NEW CAR!! Thank you so much and I will be recommending you and Fritz to all my friends! Good people! I bought a car from them at a great price 2 years ago! I'm still driving it and i still love it! I Hope i dont have to buy another car for a long time but if i do I'm going back to fritz! Very friendly people. Found a great car at a great price! Wonderful service and they made the process super easy. This is our 3rd card purchase with Mike Stiles. 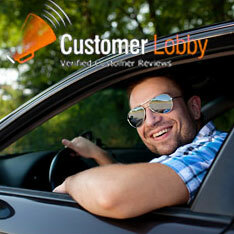 They offer great financing options with banks and the customer service is great. Ask for Mike Stiles.